Rusty, had a look at your patent, wow! Is that being offered anywhere at this time? Interesting to me because I have just started the process again. When removing a really tight muzzle device on an AR (or anything else for that matter), there can be an ussue with the amount of torque applied and what we use, what part of the rifle that is, to counter that torque. This is something new that will be available in a couple weeks. 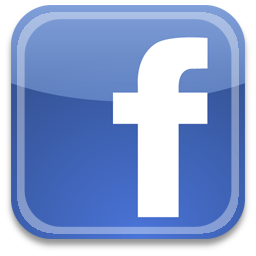 Here’s the one I use. I’ve made several of these over the years, no two look the same as I have been making them from whatever’s around, I think I even made one out of steel….. anyhow it’s been on my list for over a year now to make a batch and offer them, have had the stock here since I put it on the list (I am so optimistic about what I can get done some times). Got it squared up a few months ago….. now I’m back on it. Anyhow—it will do barrels from just over an inch on down to standard A-1 size, 5/8 diameter. Cap screws thread into a piece of 5/8 round steel that also sticks out one side 1 ¼ or so. The idea is to keep the wrench light and small as possible, so where I might have just left the 5/8 piece long enough to be the handle, I figure whenever you’re doing this there is a bolt carrier around so, it slips over the 5/8 piece as leverage. 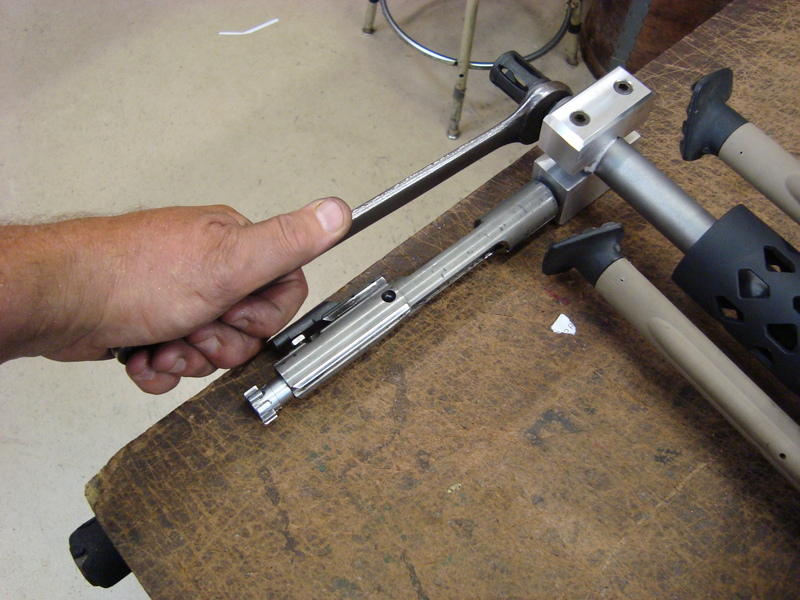 You can either two-hand the operation or just leave the carrier down on a bench to keep the barrel from moving while you tighten or loosen. I know some might consider it improper to use the carrier this way but it sure is handy and it for sure can take it-- we're not talking mega-torque here, nor impact. I just didn't think it was worth it in toolbox space or weight to have a piece of pipe dedicated to it; worry warts could use an adjustable wrench on the extended, protruding round piece. I use this tool a lot more for getting off than putting on. My own guns, students’ guns, I’m pretty light-touch on torqueing things on the end of a barrel but as we are getting more suppressors in class I have used this with a strap wrench to get cans on so they won’t come loose. I just never liked the idea of using the whole gun as a wrench against the wrench getting the flash hider or whatever off—like, pistol grip between the knees style. Never liked it but have done plenty of it, but this is a much better / safer way. Even though I would add, if the barrel comes out of the extension, that’s probably where the problem was and it might have happened all by itself later. 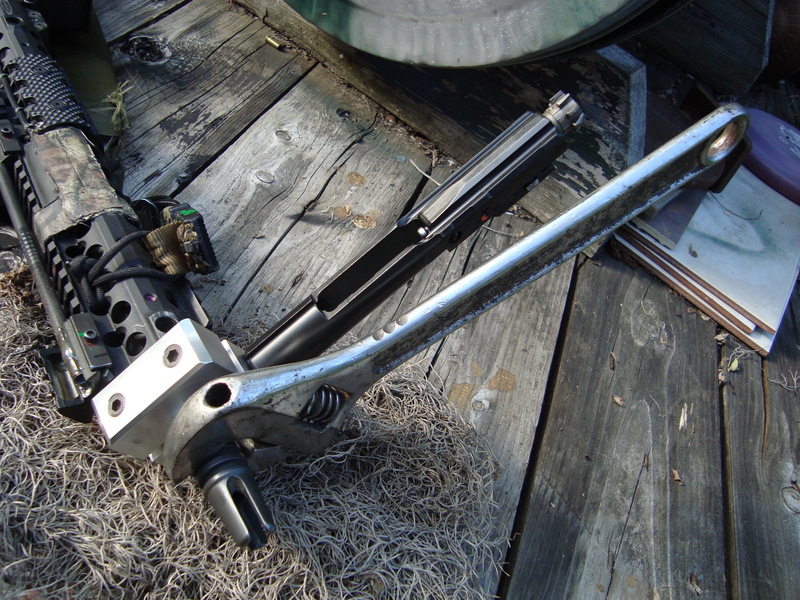 What always worried me was shifting the barrel extension from side to side in the upper receiver every time something at the end of the barrel is loosened or tightened. Again, done plenty of that with no apparent bad result but certainly in theory it is not ideal. What I have drawn up is exactly what is seen here except the ¼-20 cap screws are not counterbored flush. I have been counterboring them so it could also be squeezed in a vise but I have never used mine that way and I don’t think the others have either. Anyway you still could. Screw heads sticking out makes for easier quick-adjust from say a small barrel to a big one, and also lets you hand-tighten the screws down onto the provided 3/16 hex wrench, between the jaws, for storage so you don’t lose the wrench. I also have a step planned on the jaw so it can be a gas tube clamp—for no more trouble that it will take to make the cut it might as well be there. Not sure yet on price, I need to make this batch of ten or twenty to see what I can do. Hope to have these done by mid September unless I see a squirrel or something. Note the paper between the tool and the barrel to make sure no aluminum gets scraped onto the barrel. Another one of this "Why didn't I think of it?" tools. Where can one purchase that neat staking tool? I think I need one. They're on my site, along with ordering instructions. You can mail a check or PayPal it. I started wondering what breaking torque would be with no staking on these so I did a little test the other day. I remember doing this in my early motorcycle wrenching days with sparkplugs but I was less scientific about it and of course the results are long forgotten. 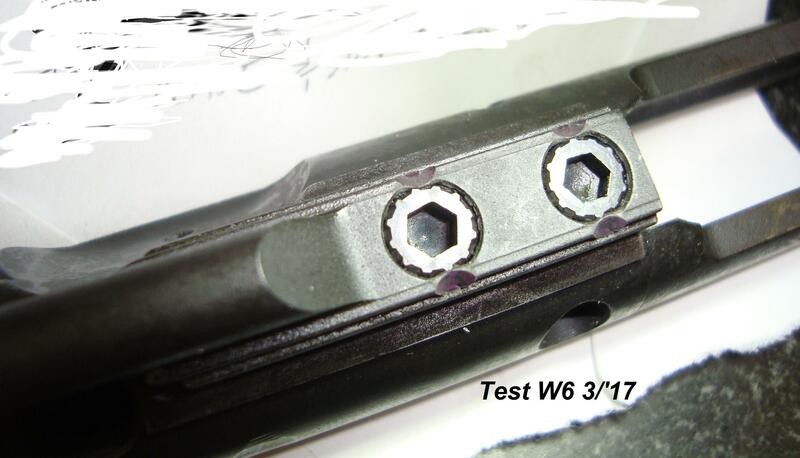 In another test earlier this year, the mil-spec screws I had, source unknown, started stretching and breaking at an average of 62 inch pounds, with a low of 60. Just two inch pounds over the max installation torque. All commercial brands tested started stretching and popping heads off in the low 80's. This was consistent in all brands. Conclusion, without staking, you can't get them tight enough to meet the breaking torque spec. They will break first. I don't get why some outfits are still not seeing this. Ned, what is the breaking torque spec (numerical value)? Installation torque is 50-58 inch pounds, breaking torque spec is 55-100 inch pounds. This is a big enough deal in AR's that the whole loose carrier key screw thing has become a significant part of my living. So many manufacturers still do it poorly and some not at all, that I continue to sell my staking tools weekly and one has even been knocked off (poorly of course ). BUT some manufacturers are coming around. 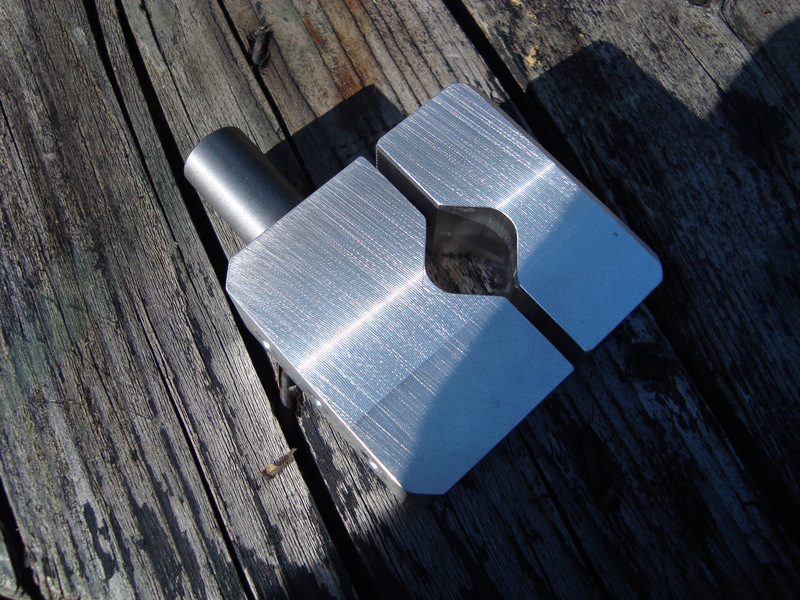 I build tooling for staking on an industrial scale too, from a lever-actuated benchtop model on up to several-at-once hydraulic machines. A blown-up 5.56 AR came my way the other day. The shooter was uninjured as is usually the case with these-- and as usual the ammo was the prime suspect. The ammo company even was in the process of funding a new rifle for the guy. Reputable companies, both for gun and ammo-- no point in naming either. Neither is at fault as it turns out. So it came to me in the context of, "if there's anything you can use or salvage, or use as a teaching tool, it's yours for that purpose". After going to extreme measures, I got it apart and found the real reason for the blow up-- the round it question was a .300 Blackout. So, be careful out there. That's not the first one of those that I've read about (300BO in a 5.56). Sidebar question - I have an Oly Arms upper marked 556 SUM aka 5.56 bore Stainless Ultra Match. They are, per Oly Arms, a .223 match chamber, not 5.56 as you would reasonably believe. Trying to decide whether to use it as is with 50/55 gr (1/10 twist per them), sell it, or ream to Wylde or 5.56 spec. I'm leaning towards keeping it as is and limit to the light .223 pills, but seeking input from those knowledgeable about reasonable options. Would I be going down the wrong road to ream it to accept heavier bullets? I don't think the 1/10 will work well for anything over about 68 gr. Well I think you have your parameters well defined so-- zup to you. I will say I don't think you'll notice a downgrade in accuracy to ream it to .223 Wylde, but as you say you'd still me limited by the twist to not using 77's. My 10 twist does 70 Speers well but 70 grain Barnes TSX start going sideways because they are so long. Pretty sure it is good with 69 SMK's but it's been a while. That top end sounds like a good varmint gun and for me that means 55's or less, easy enough to buy or load those .223 and not 5.56.